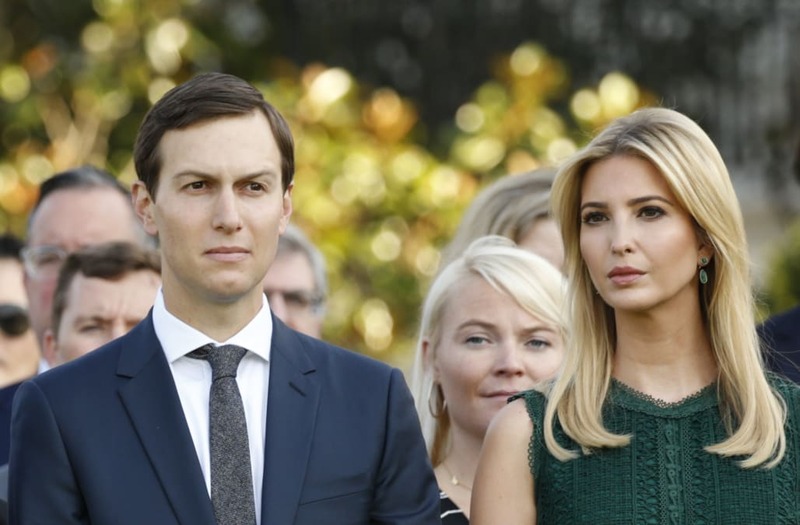 Jared Kushner, President Donald Trump's senior adviser and son-in-law, set up a private email address last December and has been using it to discuss official government business with other administration officials, Politico reported on Sunday. Among others, Kushner communicated with prominent current and former aides including previous chief of staff Reince Priebus, former chief strategist Steve Bannon, senior economic adviser Gary Cohn, and spokesman Josh Raffel. Sources told Politico that topics discussed primarily had to do with "media coverage, event planning and other business." The revelations about Kushner's use of a private email account comes following a harsh presidential campaign during which Trump repeatedly lambasted Democratic nominee Hillary Clinton for using a private email server when she was Secretary of State. Kushner's lawyer downplayed the significance of his client's actions, telling Politico, "Mr. Kushner uses his White House email address to conduct White House business." "Fewer than 100 emails from January through August were either sent to or returned by Mr. Kushner to colleagues in the White House from his personal email account," he added. "These usually forwarded news articles or political commentary and most often occurred when someone initiated the exchange by sending an email to his personal rather than his White House address." Kushner's interactions through his private email account were not limited to other administration and government officials. Politico found that the senior adviser also communicated with "acquaintances" outside the government about White House business, citing recipients of those messages and some White House colleagues. Though the practice of using a private email server for government matters raises ethical questions, it is not in itself illegal unless an individual knowingly discloses classified information to people unauthorized to view it. "We don't prosecute people for inadvertently exposing classified info, which is why [former FBI director James] Comey's decision not to prosecute Clinton didn't surprise me," wrote former federal prosecutor Renato Mariotti. Kushner, who spearheaded the Trump campaign's data operation, is currently the focus of several investigations into whether the campaign colluded with Russia to tip the 2016 election in Trump's favor. Among other things, special counsel Robert Mueller is scrutinizing Kushner's contacts with Russia's former ambassador to the US, Sergey Kislyak, and the Kremlin-connected head of Russia's Vnesheconombank, Sergey Gorkov.